New travellers and aspiring world explorers are always asking us questions about money, and we thought, what better place to share our experiences than here on Credit Walk, where we always write about the finance of travel. Below are a few of the most burning finance questions that people have when they start to consider travelling long-term. How do I take out money abroad? There are a few ways that you can obtain local currencies while you’re travelling. The most obvious and efficient way is to simply withdrawal from an ATM machine using your debit card. Typically, if your debit card has a Plus (Visa brand) or Maestro (Master Card brand) logo on the back, you’ll be able to take out money from almost any ATM overseas. Just check on the ATM machines for the logo that matches the one on the back of your debit card and you should be fine. Most accounts will charge you upwards of $5 / transaction from a foreign ATM machine though. For this reason, it’s worth contacting your bank before you travel to upgrade to an account that won’t charge you any transaction fees while you’re travelling. TD Canada Trust has a great account called the All-inclusive Banking Plan that won’t charge you for overseas withdrawals. The account usually costs $29.95 / month, but that fee is waived if you keep more than $5,000 in the account at all times. Some people still try to travel with travellers’ cheques but these are a dying relic. It’s becoming increasingly difficult to find places to cash in your checks overseas. If you don’t want to withdrawal money from your debit card, you can usually make most of your purchases and take out cash from your favourite travel rewards credit card. Just be warned that almost all credit cards have some sort of cash withdrawal fee PLUS interest. How can I travel when I have no money? You don’t need a lot of money to travel the world. Ideally, you’ll save enough for a flight and a couple of months travel, and then you’ll find ways to travel for free once you’re on the road. A good place to start is to choose a cheap destination to travel to. Once you’ve done that, you can House Sit, Pet Sit, Couch Surf, Become a Dive Instructor, start a travel blog or any number of travel occupations that can help you to sustain your travels. Check out our recent article: “How To Travel The World When You Have Absolutely No Money” for more. How much money should I have to travel for 1 year? Those rates are not including travel insurance and flights to and from the region (though you could squeeze in the odd domestic flight into those budgets). For a full year in Southeast Asia, you’d be looking at around $14,600 for day-to-day costs and another $1,800 for travel insurance and flights to / from Canada ( +/- depending on where you live). These numbers are very vague, but they’ll give you a rough idea to start with. Once you’ve chosen your destination region, it’s up to you to price out flight costs and travel insurance to better specify your overall budget. Where are the cheapest places to travel? Generally Central America and Southeast Asia are the cheapest places to travel. Nepal and India are also very cheap. You can sometimes get lucky and travel somewhere that is temporarily cheap due to a failing currency, but with our Canadian dollar sinking every week, these opportunities are getting harder and harder to find. There are some destinations that are still cheap for us Canucks, check out: “5 Affordable Travel Destinations For 2015“. How can I save enough money to travel long-term? Saving money for travel is all about discipline, but I have good news for you. Once you’ve gone on one life-altering trip around the world, you’ll find it infinitely easier to save money for your next adventure. This is because your mind will stop thinking in dollars and cents, and it will start calculating your wages based on travel experiences. $10 may not seem like a lot when you’re living in Canada, but once you realize that $10 can buy you 3 hours of beach massage in Thailand, or a funky jungle hut in for 2 nights in Indonesia, you’ll soon find out that your money is more valuable than you ever thought before. This will help you to save. One basic to help you keep your money in your bank is starting an auto-withdrawal every payday into a special travel savings fund. Just call your bank and have them set it up. Take out the maximum amount that you can afford from your paycheque and try not to think of the money accumulating in the new travel savings account. If you don’t see the money in your bank, it’s easier not to spend it. You should also write down all of your monthly expenses and try to stick to a very strict budget. Give yourself $30 / week for entertainment, $20 for gas, $100 for food etc. Once you have a budget, put exactly that amount into your wallet in cash at the start of each week. When your wallet starts getting low by Friday, you know you have to scrimp in order to stick to your financial plan. How can I travel using points from my credit card? You’ve come to the right place to answer this question. 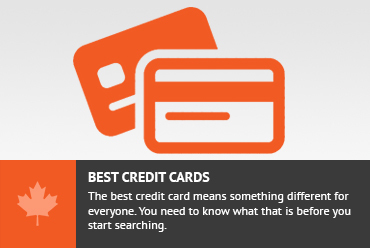 Credit Walk is chalked full of great information on rewards points and travel hacking. One of my personal favourite tips that I learned from The Pointster is the Sign-up bonus spree. Basically, you make sure that you have strong credit, then you apply for multiple credit cards (that offer good sign-up bonuses) all at the same time, then you follow a spending schedule and by the end of the year you can reap the rewards! This is a great way to jump head first into the art of points hacking. Check out Maximize Rewards With A Credit Card Application Spree for more about this trick and don’t miss Credit Walk’s Credit Card Hacking section for more lucrative tricks of the trade. We have a whole team of travel and finance experts here at Credit Walk, so please feel free to ask us any questions you may have about travel and money in the comments below. We’d be happy to help! Don't subscribe All Replies to my comments Notify me of followup comments via e-mail. You can also <a href='https://www.creditwalk.ca/comment-subscriptions/?srp=4454&srk=2648578ecea05c83754707575dc5a494&sra=s&srsrc=f'>subscribe</a> without commenting.